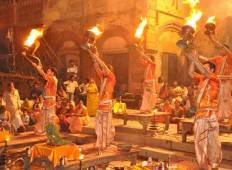 Find a Local Guide trip that explores India. There are 11 tours to choose from, that range in length from 3 days up to 15 days. The most popular month for these tours is June, which has the most tour departures. 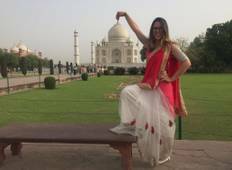 "I booked a tour package for Golden Triangle with Varanasi and I have to say, it was..."
"We had a wonderful 5 day trip to Delhi-Agra-Jaipur with Golden Triangle Tours. Arun..."
"Hi everyone! I recently went to India for my first trip, I never been to India before..."
"We could not be more pleased with our wonderful trip to Kerala! We were on a 13 days..."
""World Travel Experiences" are fantastic and we are so happy that we chose to use..."